A new scholarship at the Quad Cities Community Foundation will celebrate the life of a man whose life was tragically lost too early and serve as an inspiration for area students who wish to continue their education after high school. Almost four years after the onset of a crippling disease that left him unable to walk or raise his arms above his head, Davenport native Kale Hyder is finding personal and academic success as he pushes forward in recovery. Students can now apply for scholarships to community colleges, trade schools, and four-year institutions thanks to the generosity of donors. Hundreds of thousands of dollars in scholarships are awarded each year from the Quad Cities Community Foundation. That’s a sentiment Hannah Thomsen feels strongly now that she has returned to her old stomping grounds to live and work. “I feel like I’ve found myself in my home community,” said Thomsen, who serves as the communications director for the Pleasant Valley Community School District in Riverdale, Iowa. It was during a balloon and laser demonstration while a high school student that Caleb Hoffman first realized he was interested in engineering. 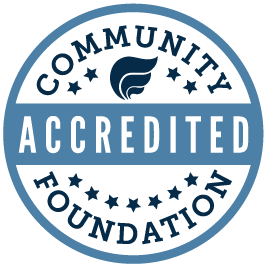 "The Community Foundation has my back"
The Quad Cities Community Foundation is proud to announce that applications for 2018 scholarships are now available. Thirty-eight different scholarships will be awarded this spring, with some offering more than one award. Mary Marker credits a renewable scholarship through the Quad Cities Community Foundation with helping her do more than pay for college. Saneha Borisuth, a senior at Moline High School, has been recognized as one of the country’s most outstanding high school leaders by the Coca-Cola Scholars Foundation and has been awarded a $20,000 college scholarship. Craig A. “Corky” Kress was born on November 17, 1942 in Waterloo, IA. He attended Waterloo West High School and graduated from the University of Iowa, where he majored in Psychology and minored in Music. Be open and honest. That’s the advice Esmeralda Jinez would give to Quad City high school and college students this year as they apply for scholarships from the Quad Cities Community Foundation. Kathi Morency had no idea that reading The White Oleander would lead to the establishment of a scholarship to benefit foster children. Every year, the RiverCenter in downtown Davenport, IA hosts the Quad City Regional Auto Show. This event showcases close to 100 auto dealers from the bi-state region. Family-friendly activities are held in conjunction with the show, making this event fun for people of all ages. Edwin Adland was born on April 8, 1904, in North Cape, WI. He graduated from Iowa State University with a degree in civil engineering. His education led him to a career with the Army Corp of Engineers at the Rock Island Arsenal.